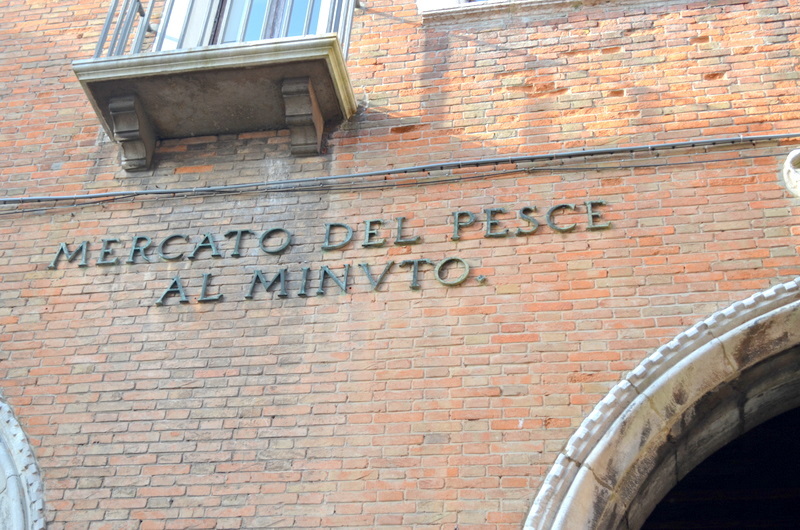 If you want to have a real feel of Venice and its remarkable seafood, this is the stop. 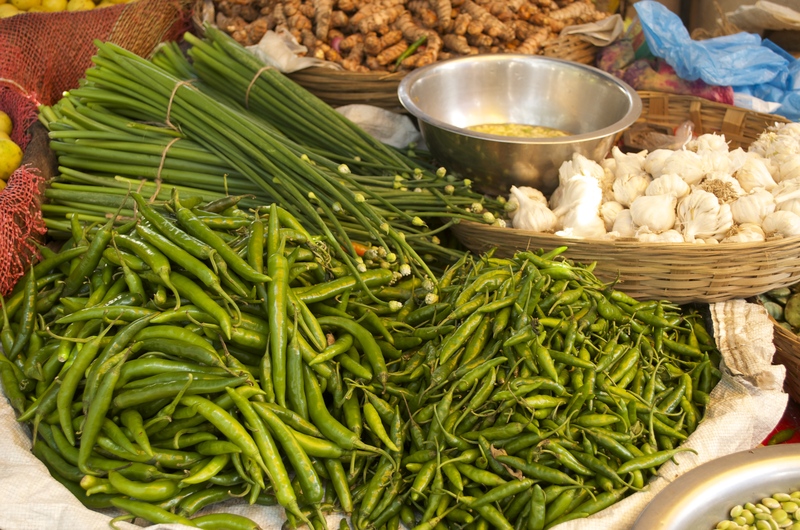 Glistening mountains of fresh fish and seafood ranging from anchovies and inky squid to soft shell crabs. 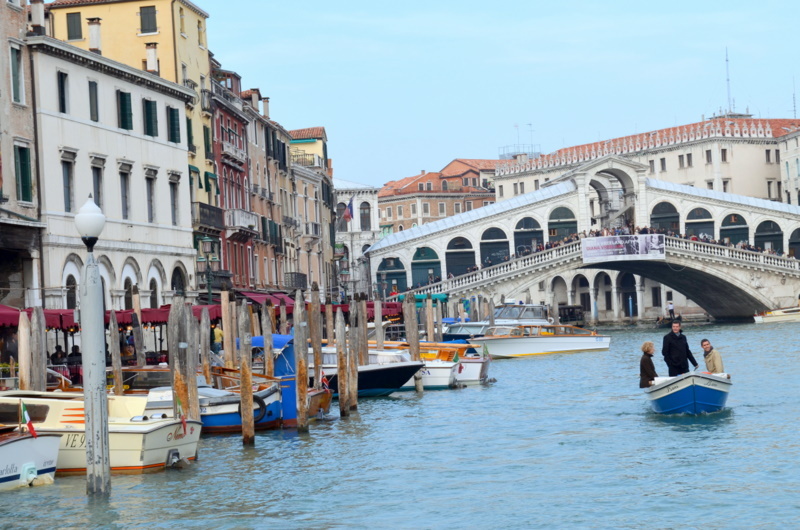 The market is located next to the fresh produce market behind the famous Rialto bridge. It looked quiet and majestic from the outside but it was a different story inside. 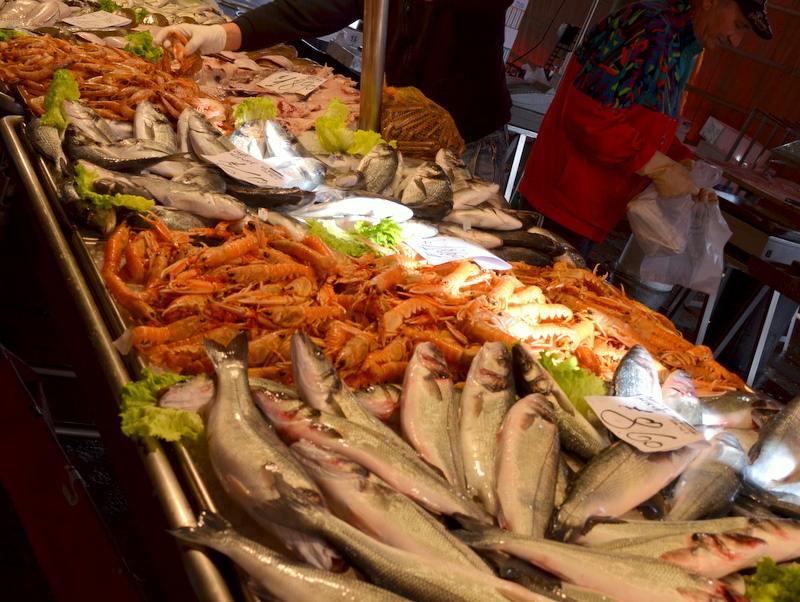 It was bursting with fish mongers and customers. 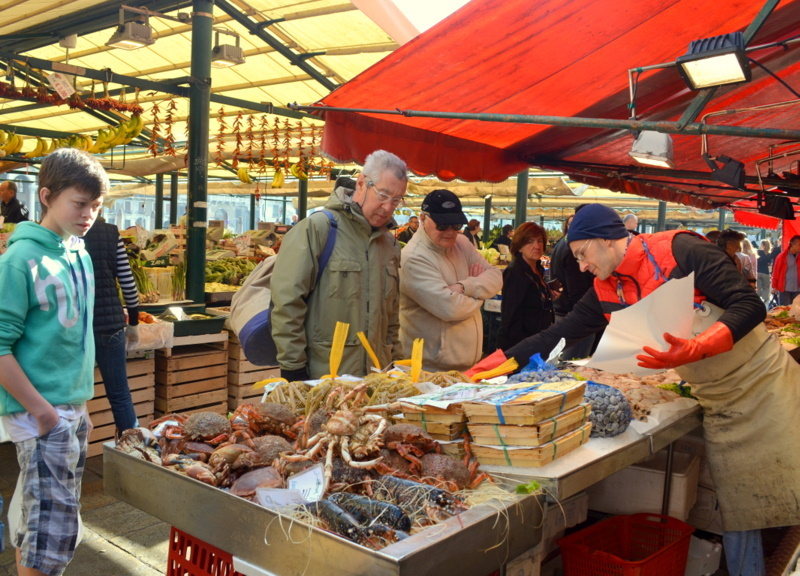 Mercato del pesce or fishmarket has been open for 700 years. 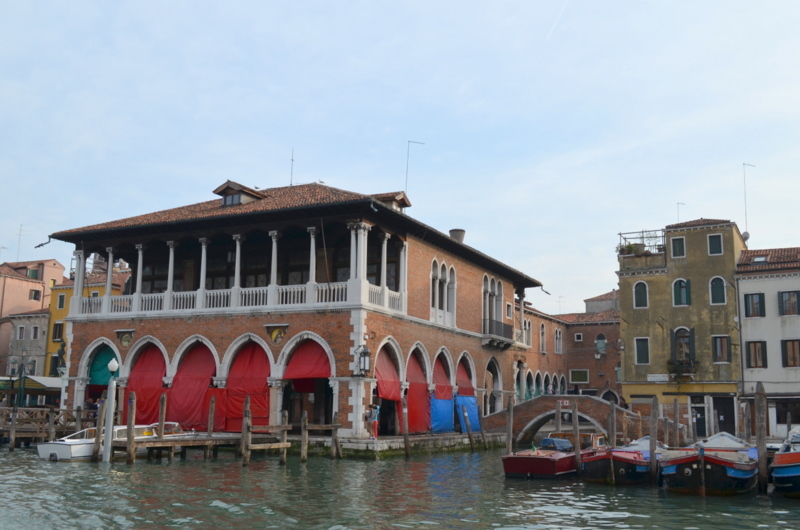 It is called the heart of the city and that shows how important it is to Venetians. 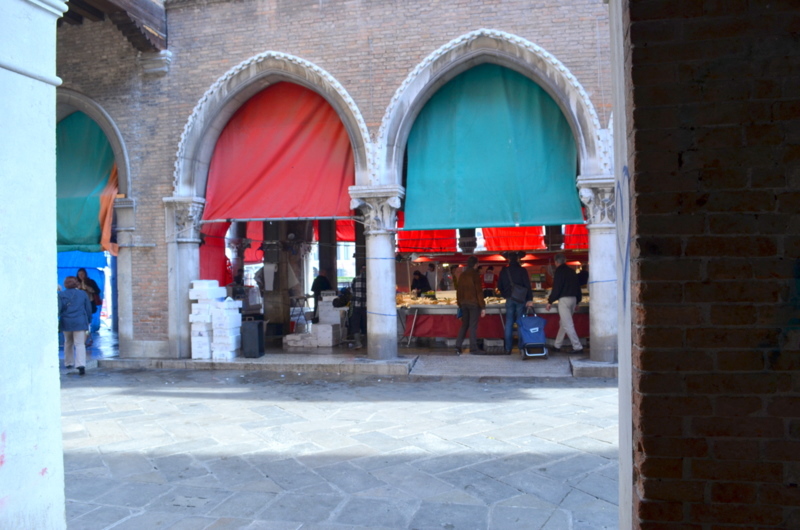 Through the arched entrances, the market was buzzing with life, even though it was early morning. 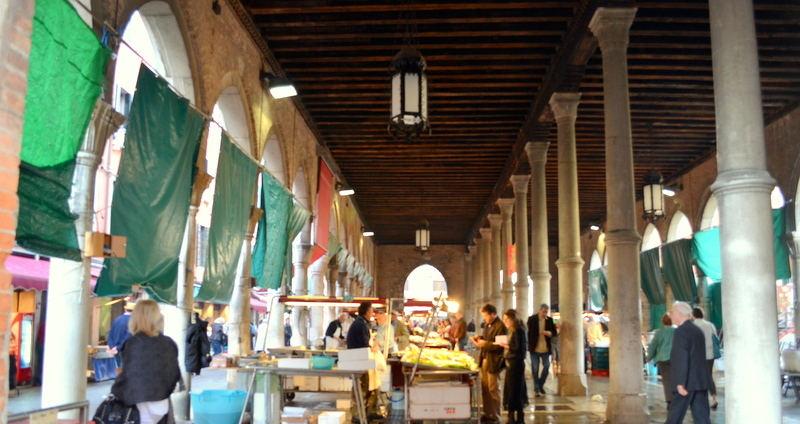 Venetians were set about their daily shopping and the fish merchants do not mind the odd cameras of the tourists at all. 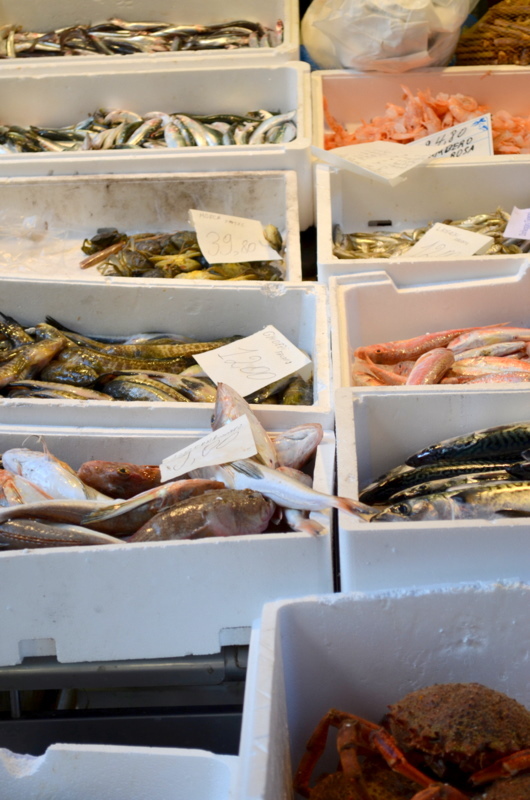 There is a huge variety of fish, most of which have been caught locally from the lagoon. 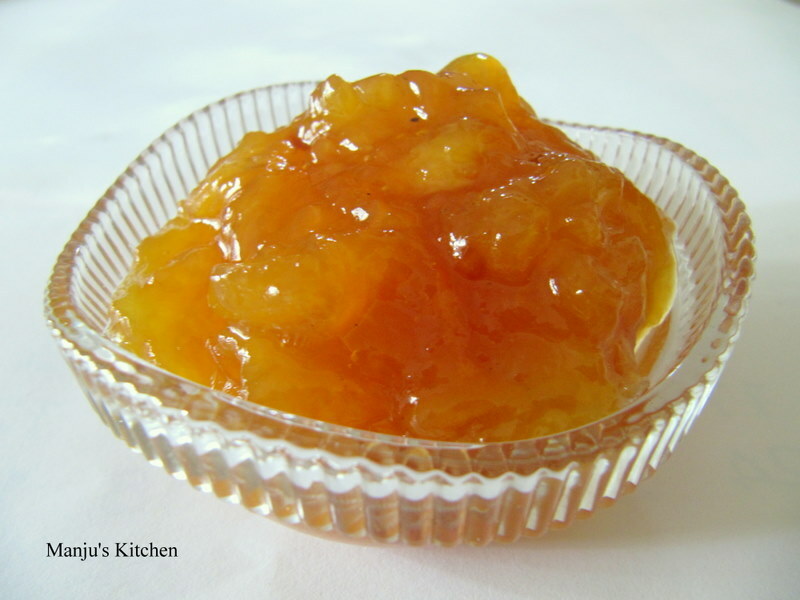 As time passed, it filled with tourists who wanted to have a look at Venetian specialities. 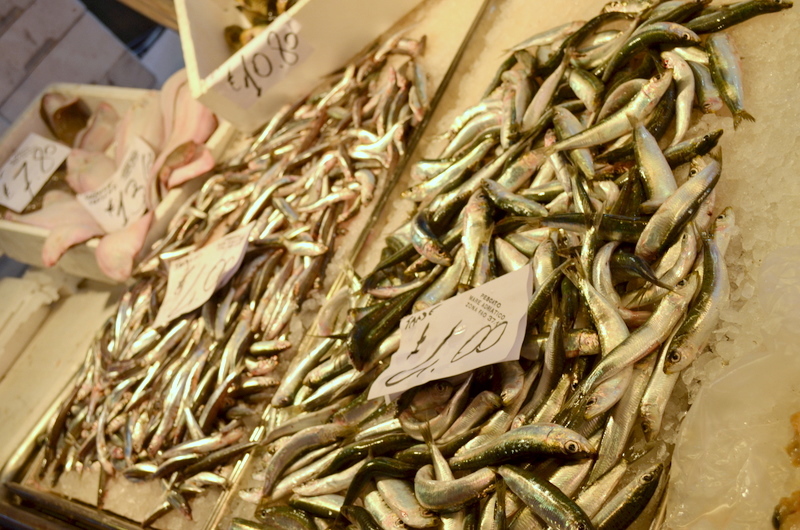 Anchovies ready to be taken home. 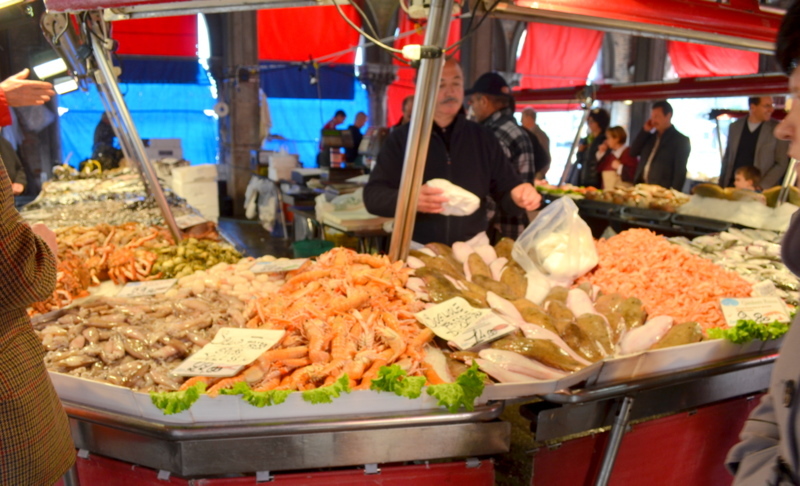 A very large selection of fresh seafood – a chef’s dream! 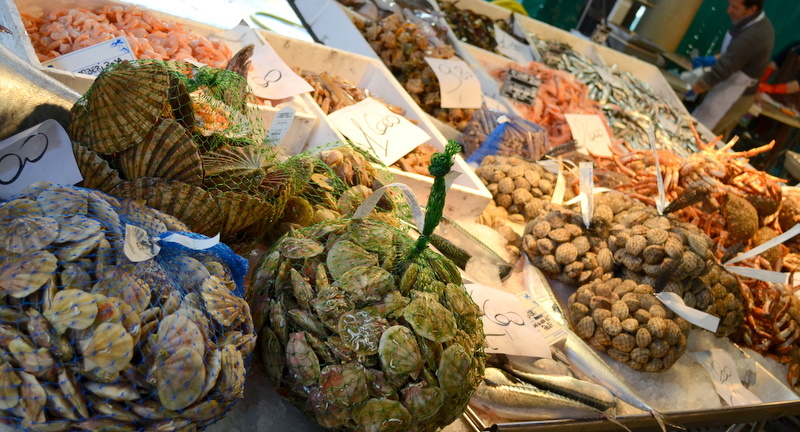 The range of scallops and shellfish is enticing… The visit was definitely worth waking up early in the morning.